Customize your sneaks without being sneaky about it: there's no reason to hide how fly you're about to look from the ankles down. 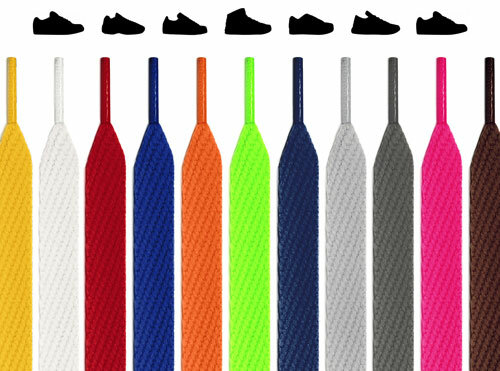 If we were going to make a commercial for our super wide flat shoelaces, at some point we'd show a pair of sneakers doing a record scratch, or maybe someone skateboarding on a turning record. 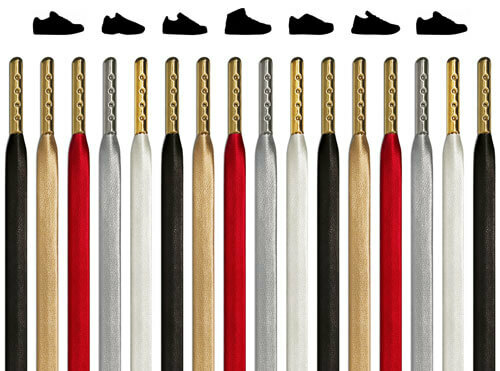 But the message is: if you're trying to remix your shoes, if you're looking for the most solid shoelaces that could grace your kicks, you've come to the right place. Now let's get you the perfect pair. 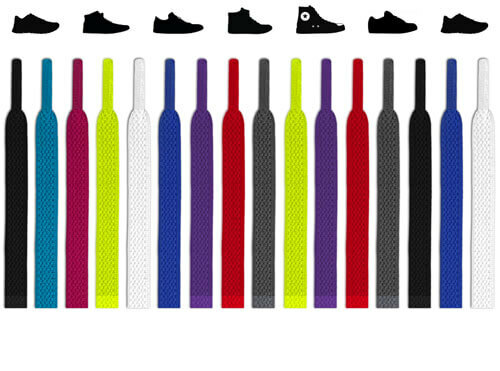 Shoe companies are just trying to push merchandise off the shelf, which means that every pair comes with the same crappy pair of shoelaces that are not only terrible, but guarantee your feet look just like the next guy's. Be uncommon. 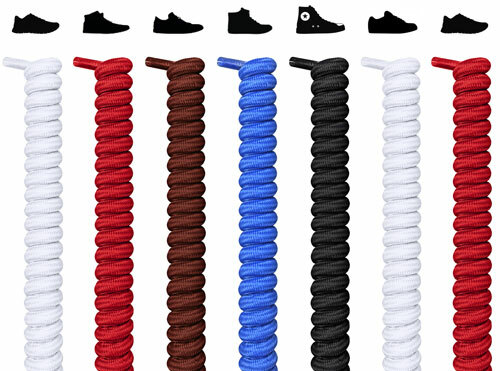 Super wide flat shoelaces are the ultimate replacement laces. Lace 'em up, tie 'em up, and then show the world what's up. 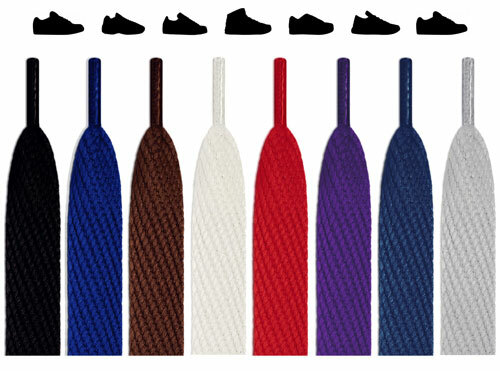 Even if you have the hottest shoes on the market, the laces could always use an upgrade. Fresh look, clean look, however you want to put it: your trend-setting style should flow from toe to crown. 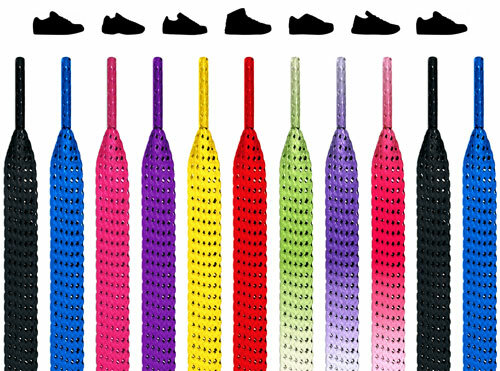 Sneaker accessories allow you to make a statement by doing nothing more than stepping into a room, which is why many members of our community grab different laces depending on where they're about to go and what else they're wearing. For cool style ideas, you should definitely follow us on Instagram at @feetunique, but no one does you like you, so hit us up with what you have going, because we always share the freshest looks with followers. 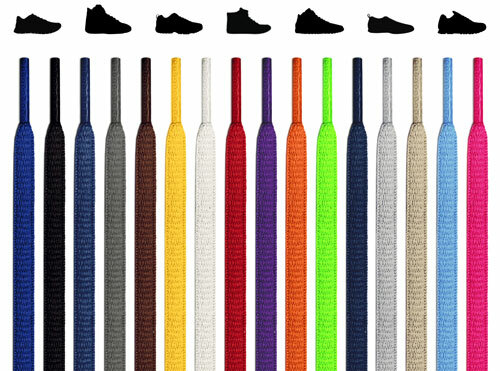 Our super wide flat shoelaces are impossible to miss, which means that we have to be extra sure they never come undone, never fray, and never fade because of friction focused design, unrivaled durability, and the long-lasting dyes on the market, respectively. 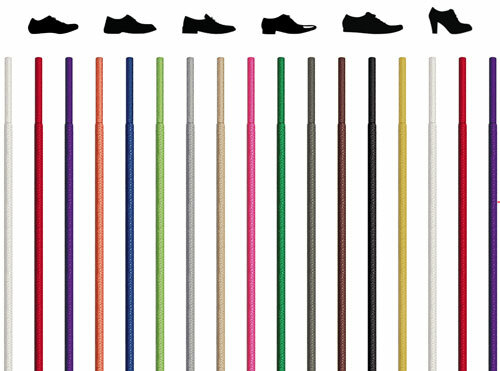 They also feature a 20% stretch, which gives a comfortable, even pressure across the foot, basically essential when you're skating or shooting hoops. 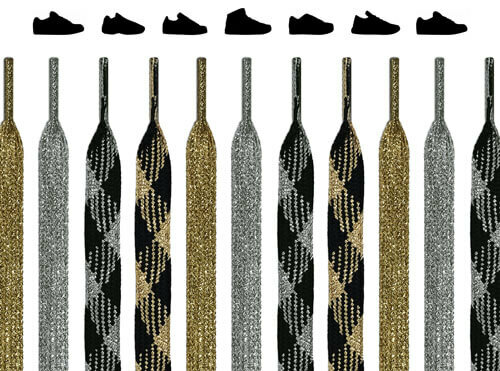 And even though they're twice as wide as regular shoelaces, they lace right into any shoe's eyelets, every time. This is admittedly one of the dryer aspects of the world's go-to shoelace place, but we think it's worth noting. 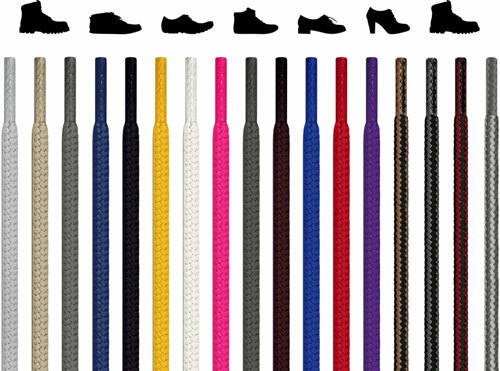 Our shoelaces have been rigorously tested for eco-friendliness, and our manufacturing is so conscious to our environment, we received STANDARD 100 by OEKO-TEX® certification. You can find out more here. 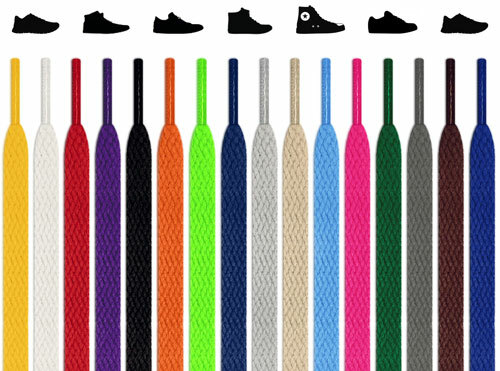 We sell every type of shoelace here, but our super wide flat shoelaces are particularly special, because they were designed for our boldest customers, the folks who don’t just follow what's popular, they make something popular. They tend to know that — from wristwatches to sunglasses to hats to shoelaces — accessories can make or break an opportunity. And you know what they say about opportunities: you never know when one might come knocking.